This kit is including one can of DOOOZz Sleep Natural Bionite (2 cups), DOOOZz 24-Hours (3 cups) and a City Disc (1 cup). UK customers can order DOOOZz by sending us an email. DOOOZz products cannot be combined with tachyon devises or tachyonised materials. 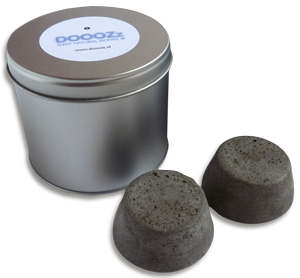 DOOOZz Sleep Natural Bionite is developed for the night and should be stored in the can during the day. DOOOZz 24-Hours offers day time protection. There is no need to store the 24-Hours in a can. 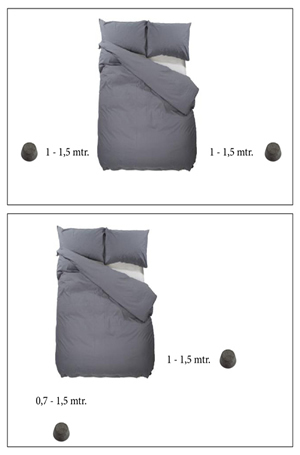 Please keep DOOOZz Sleep Natural Bionite in the metal can while travelling, driving a car or operating machinery.